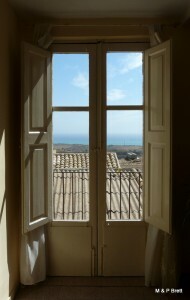 After booking our accommodation in San Francisco via Airbnb I searched for accommodation in Sicily and found Anita B & B. There were four of us heading to Agrigento to visit the Valley of the Temples and the B & B would meet our needs and seemed reasonably priced. Good communication with Angela, who runs the B & B, meant we established that the Kiwi and I along with my parents would have the run of the B & B as it has two rooms, and there was secure car parking available for my parent’s car. Perfect! On the day of our arrival, I sent a text to Angela to let her know we were about half an hour away, as she asked for notice of our arrival. Unfortunately, the text didn’t arrive so we got to the B&B to find no one there. Mama called Angela and they chatted in Italian, with Angela confirming she needed a bit of time (she was actually making tomato passata when we called!) to get there and she would also need to make up the beds. We went for a wander to check out the town and get some lunch, returned a couple of hours later to meet Angela, a lovely, warm and friendly lady who was apologetic for the wait and preparation required. However, we’d timed it well and she’d finished the preparation required for our stay. The bedrooms are large, one with a lovely wee balcony and bright en-suite bathroom, the other with a large terrace with views down to the water. Both have air conditioning, a necessity! The room with the large terrace has a king bed and two single beds in there, along with a desk. The bathroom is off the hallway before you enter the bedroom. Both bathrooms were clean, their only down-side being the size of the shower cubicle – teeny tiny, don’t drop the soap! The lounge and kitchen area is to the front of the building, which you enter straight from the street. It is a gloomy room and the navy sofa and navy table cloths on the two tables don’t help the cause, it’s not a comfortable space but the chances are you will spend little time here. There is a television, a gas hob and fridge stocked with items you can purchase for a reasonable price. A coffee machine is there for your use, Angela giving us instructions although she comes in each morning to set breakfast and make coffee if you wish. We had a pleasant stay here and it did all we needed it to do without fuss, in a clean and pleasant environment, reasonably priced and with a very pleasant and lovely hostess. The only issue we really had was with the secure car parking. This is a street away and down the hill, only a few minutes walk, at additional cost. We were parking a large car in the garage but it’s an awkward L shape and with locals parking outside the doors Dad ended up damaging the paintwork of the car trying to park the car in the garage – a hassle we could have done without. Angela only charged us for one night as she understood the difficulty we had. Posted in Accommodation Review, Travel. 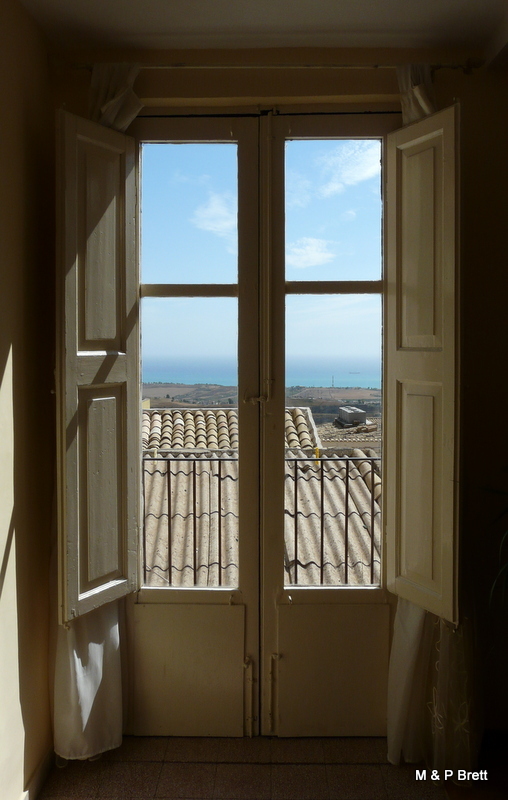 Tagged with Accommodation, Agrigento, airbnb, Anita B&B, Bed & Breakfast, Italy, Review, Sicily.